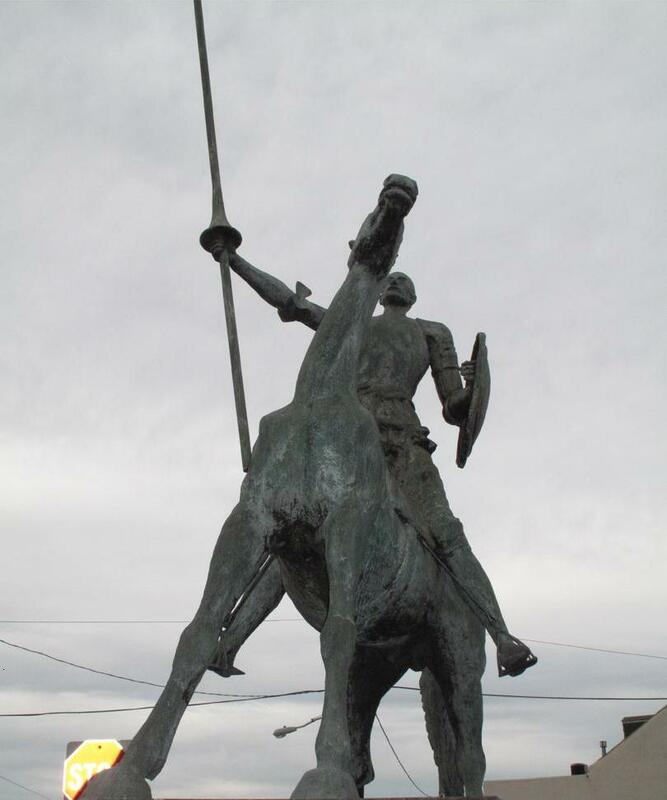 My guess is the delegation from Spain had orders to find someplace for the 300th amateur sculpture, made in a metal arts class, by the child of a prominent bull fighting family. 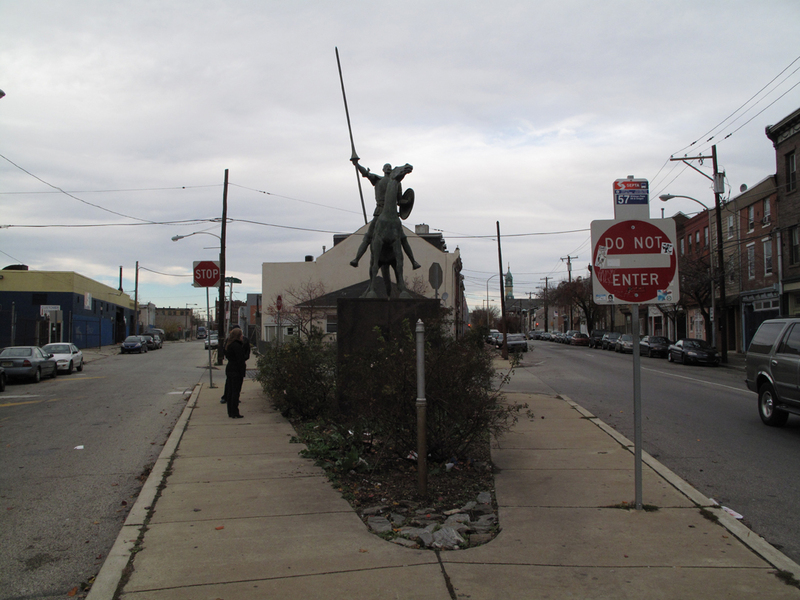 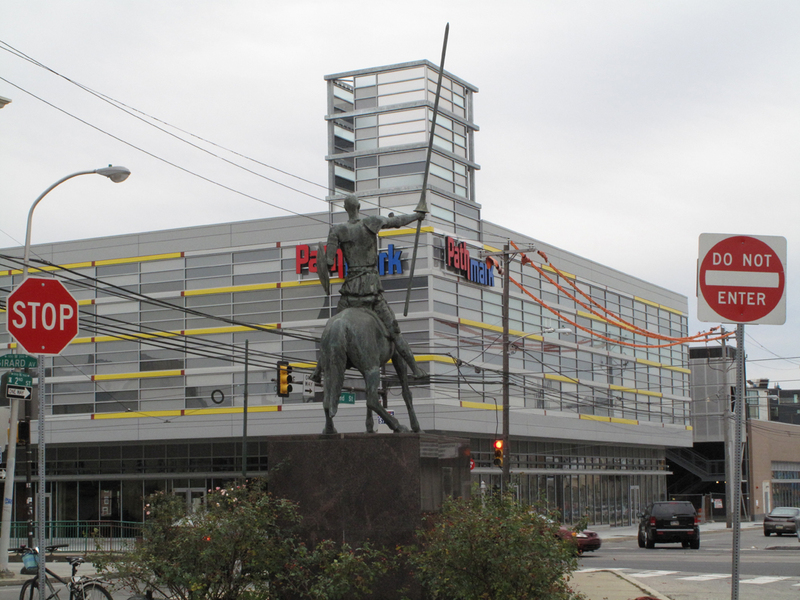 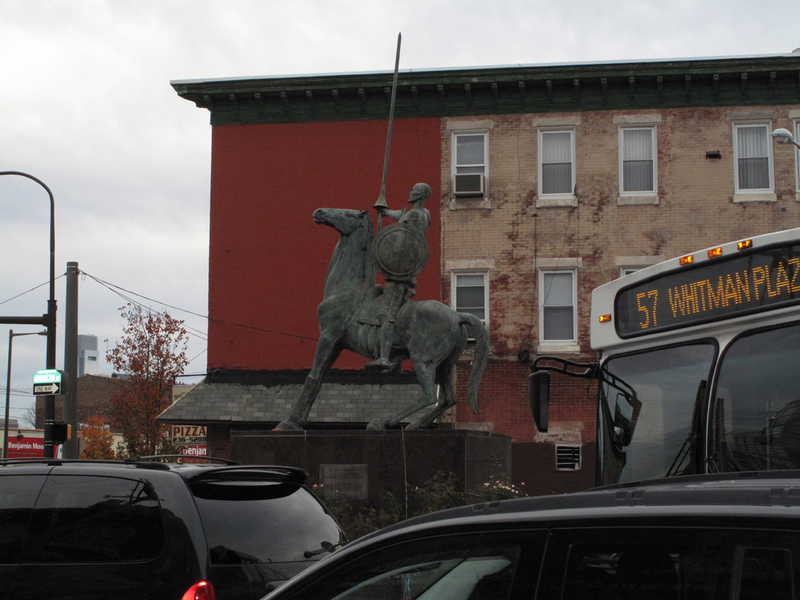 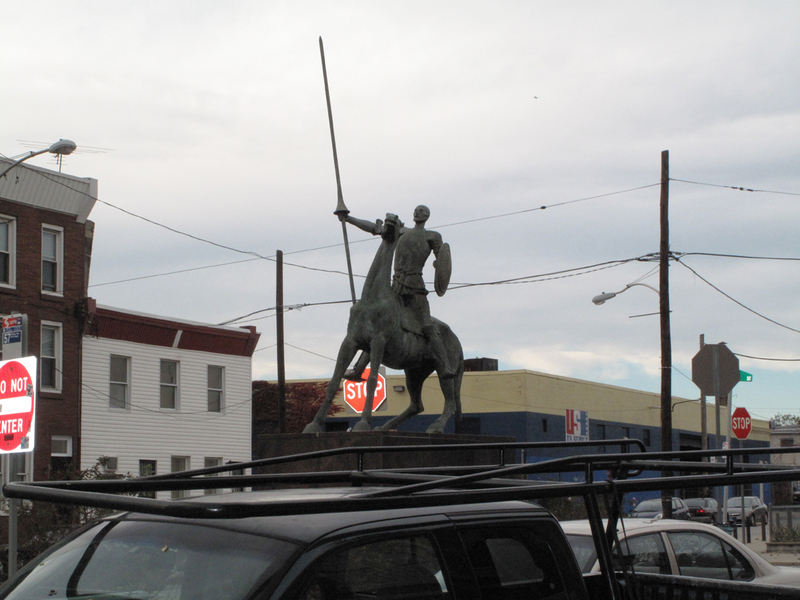 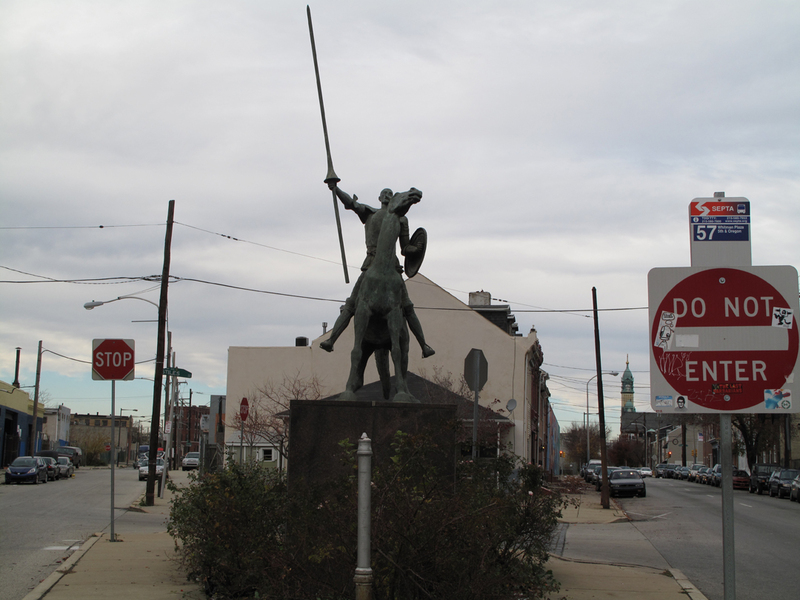 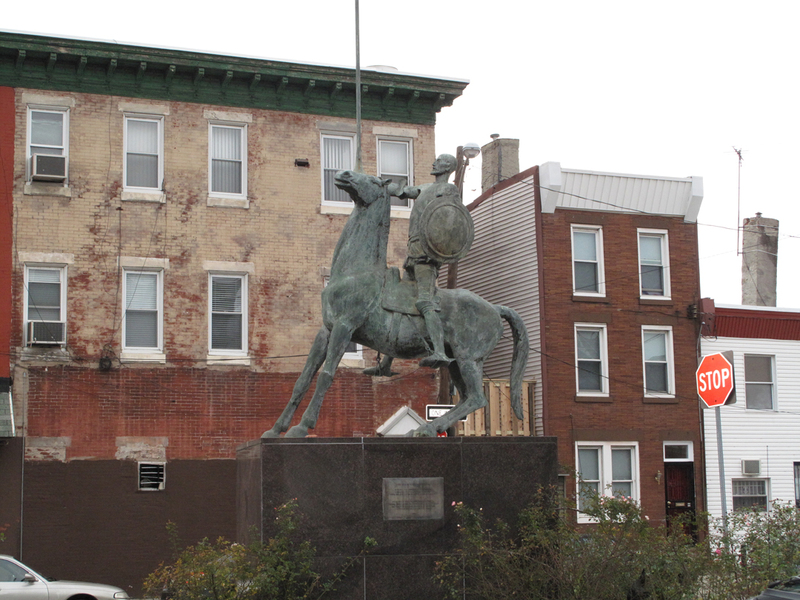 They probably convinced the community leaders that Quixote could well be confronting the interloping, Pathmark, bent on destroying the bodega culture. 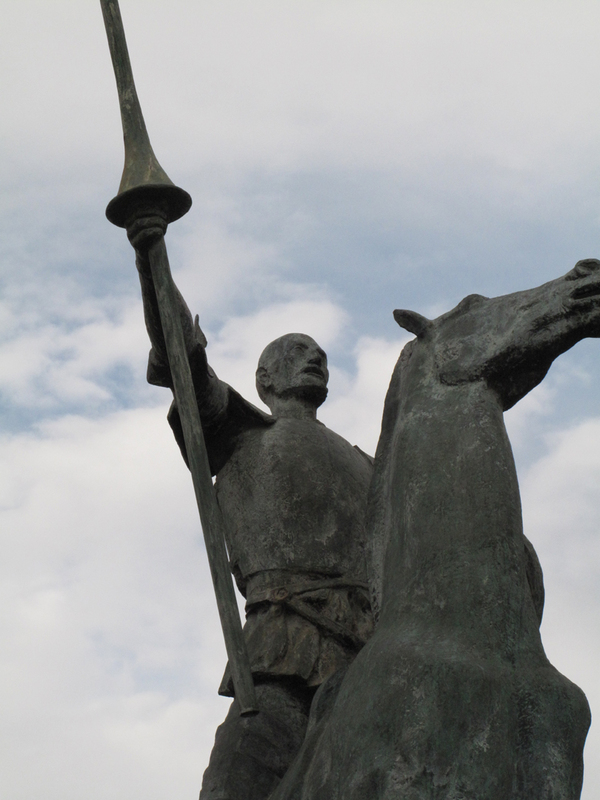 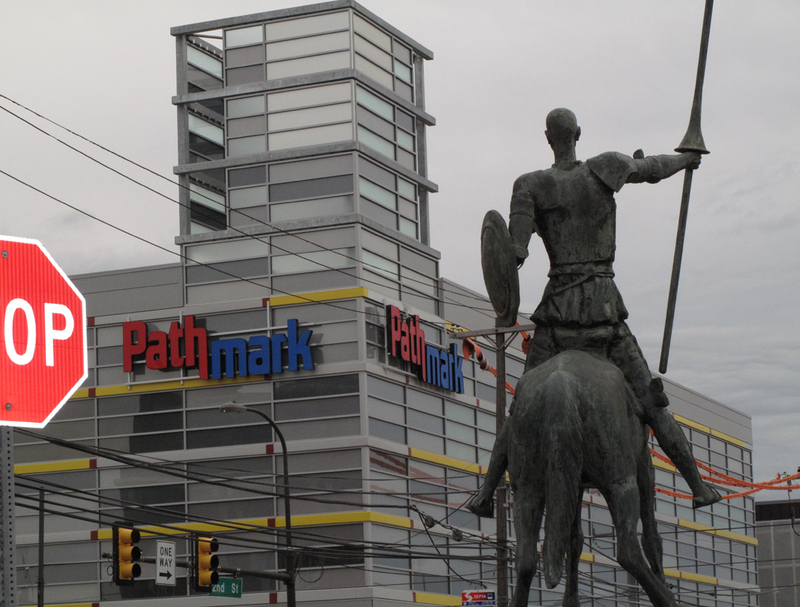 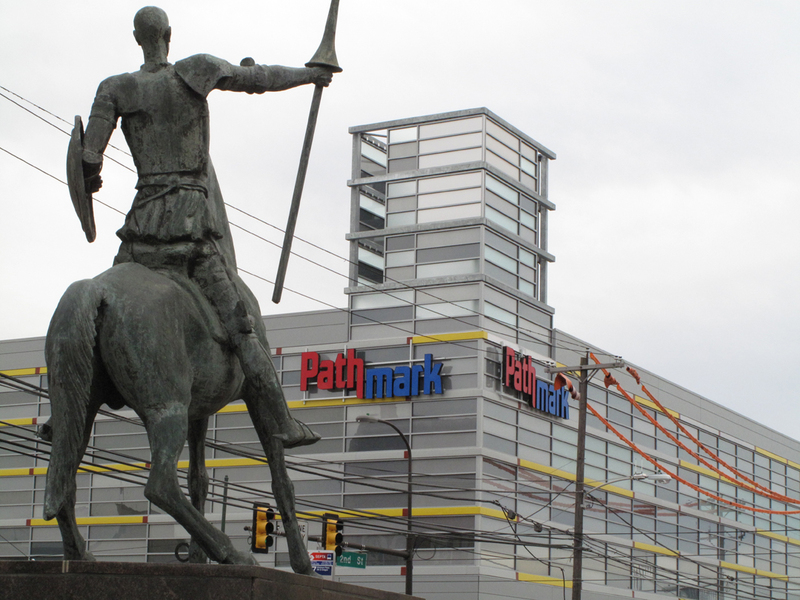 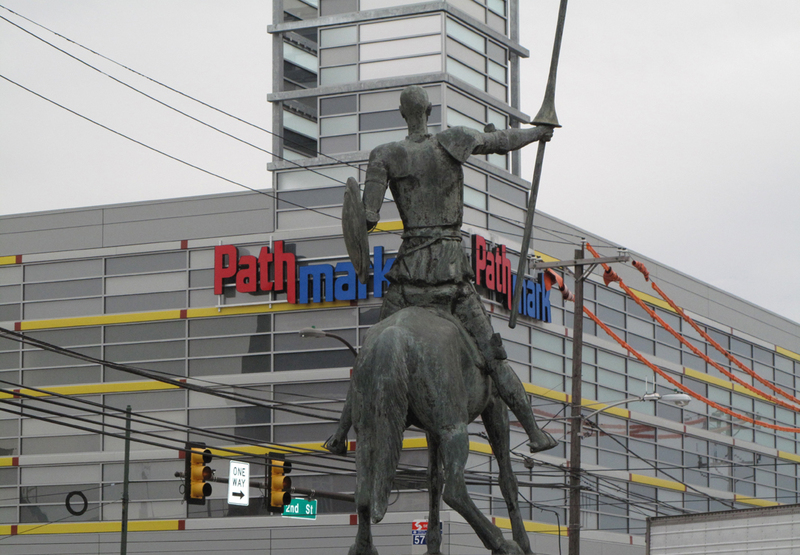 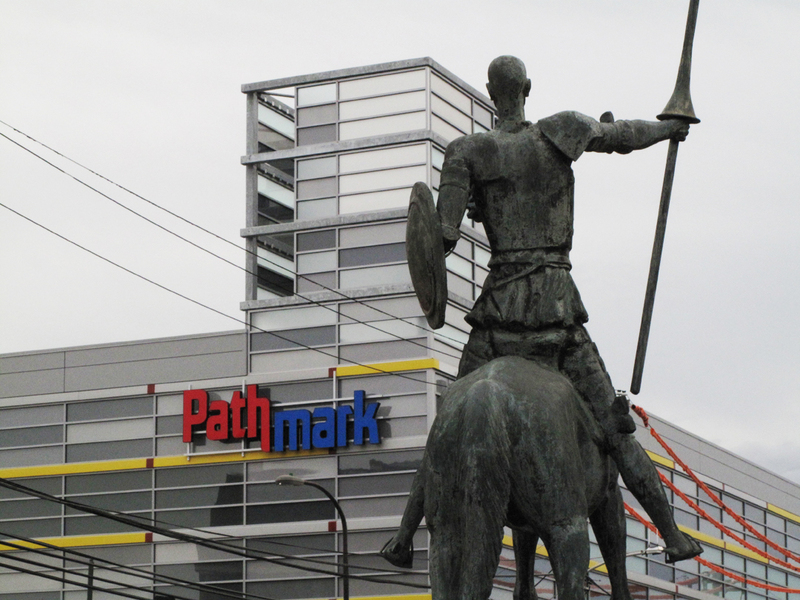 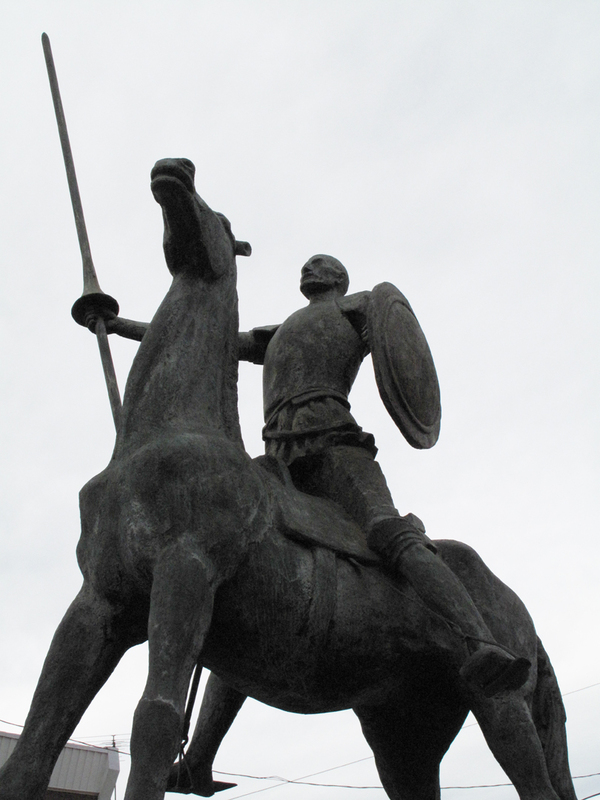 Who could blame Don Quixote for dying of a heart attack after learning what Pathmark charges for goat meat?